Ever wondered how Steve Jobs might tackle a problem? What if Angela Merkel were leading your project? How would Judge Judy get to the bottom of it? What would Trevor Noah say about that approach? This activity, Alter Egos, helps explore different ideas through the lens of others and provides new perspectives. This is part of our series on Design Thinking Methods and Activities. You’ll find a full list of posts in this series at the end of the page. The best time to use this activity is when you find yourself or your team stuck on a problem or generating humdrum ideas. What makes it fun is that it removes limitations or governors on ideas. To begin, first think about the problem you’re trying to solve. Then pair it with a corresponding alter ego. Problem: A medical device company wants elderly customers to buy monthly subscriptions for access to their mobile app. Alter Ego: How might Betty White convince them to subscribe? Problem: A residential waste management company wants to improve services, but doesn’t know how to set themselves apart from local competitors. Alter Ego: How would Elon Musk disrupt the market? Problem: Your company wants to share important info about a new insurance plan. Alter Ego: How would John Oliver deliver the news? Problem: A company selling bidet attachments for toilets isn’t sure how position the product to 20-somethings. Alter Ego: Cardi B is running the show now. How would she describe the product to a younger audience? You can make this portion of the activity as simple or complex as you’d like. The simple version would have participants capturing each quote, idea, or action step on a Post-it. Remember to frame each item from the perspective of the alter ego. Write the problem statement on a whiteboard. Underneath that, write the name of the alter ego and the question you want them to answer. Draw four quadrants surrounding the alter ego’s name or image and write one of the following in each zone: Say, Think, Do, Feel. Have participants fill in each section with Post-its, framing all of their comments as if they were coming from the alter ego. In the example below, the Alter Ego is represented by RuPaul. 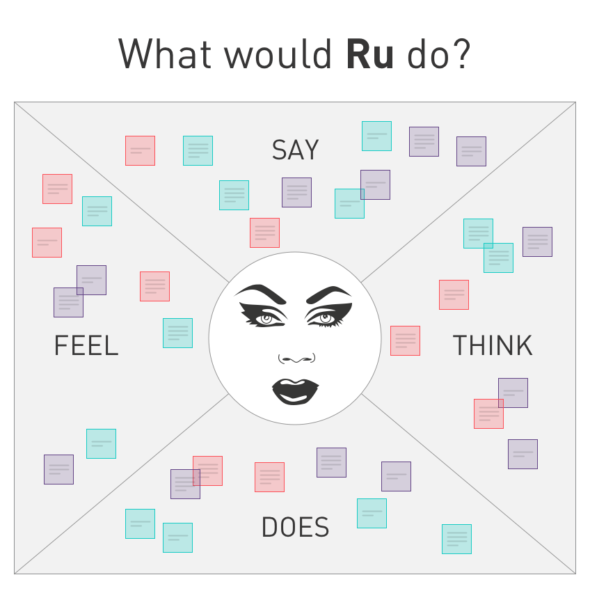 So, in this case, participants would decide what RuPaul would say, think, feel, or do to solve this problem. This four-quadrant framework is often referred to as an Empathy Map. Finally, once all quadrants are filled in, review each Post-it and group like ones together to find common themes, concepts, or ideas. Oh, and don’t forget to laugh. This exercise can really loosen up a room and bring out the funny in folks. 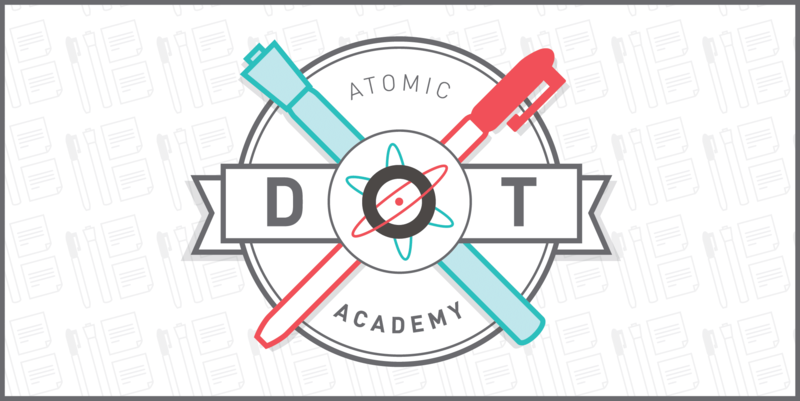 Hopefully, this activity will encourage your team members to broaden their thinking, remove limitations, and shake it up a little. Share a comment below if you’ve walked in an alter ego’s shoes.